Watching the Smithsonian Channel’s, Planes that changed the world: The DC-3 last week, increased my affection for a beautiful old plane. As with classics like the Spitfire and the P-51 Mustang, there is something pleasing about the lines of the DC-3. And perhaps just as the simplest explanation often makes more sense in scientific explanations, so might visual appeal signal greater engineering efficiency and strength. The story of the DC-3 starts with a bizarre twist shortly after The Boeing Company created its B-247 passenger plane. First flown in July of 1933, the B-247 is considered the first modern airliner with all metal construction, high cruising speed, ability to land at low speeds, and capable of flying on only one of its two engines. Boeing promised United Airlines, which it owned, the first 60 aircraft off its assembly line, and thus begins the rest of the story. Boeing 247, the one that started the ball rolling when Boeing put off TWA’s potential order in favor of United Airlines! TWA also wanted the B-247 for its operations, but Boeing told TWA it would have to wait. Unwilling to sit on the sidelines and risk losing the commercial airline business to United, TWA queried Boeing’s competitors to see if any of them could develop a similar aircraft. Donald Douglas was one of those competitors. Douglas and his team of engineers accepted the challenge, and began work on the DC-1, or Douglas Commercial-1. But these were no ordinary engineers. Among others the group included Jack Northrop and Dutch Kindelberger. Northrop designed the Lockheed Vega, the high speed six-passenger monoplane built in 1927 that Amelia Earhart flew across the Atlantic and Wiley Post flew around the world. Kindelberger would go on to design the P-51 Mustang of WWII fame. Douglas’ crew doubled down and came up with an aircraft that left the B-247 in the dust. Here’s how. As originally designed, Douglas’ new plane evidenced instability due to a center of gravity being too far forward. His engineers quickly used wind tunnel tests to discover that a swept-back wing would move the aircraft’s center of gravity towards the tail. This innovation not only fixed the balance problem, but also increased the aircraft’s speed. Next, the Douglas crew worked to further increase the aircraft’s speed and stability by fine tuning it’s aerodynamic design. 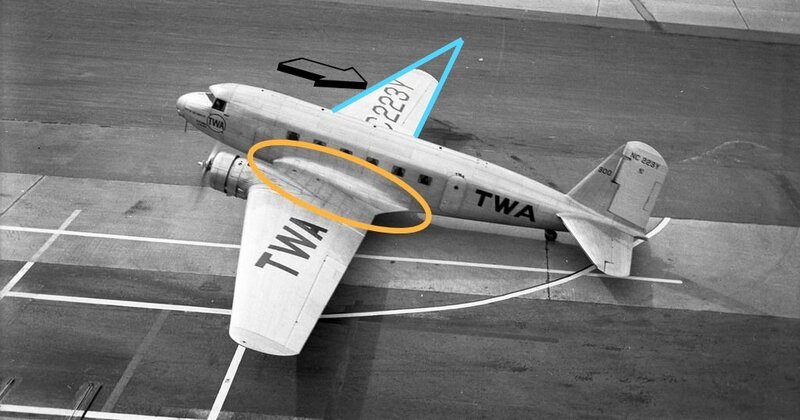 They came up with the novel idea of adding a fillet, or curved connection between the wings and the fuselage (see the fillet circled in the photograph above). This single design change added 17 mph to the DC-1’s cruising speed. But Douglas’s engineering marvels were not finished. They added landing flaps. They didn’t invent them, but they recognized the importance of having flaps that would reduce the aircraft’s landing speed, enabling it to operate out of the shorter airfields common in the 1930s. Douglas now had an aircraft that met or exceeded TWA’s requirements for cruising speed, useful load, takeoff and landing distance and speed, and ability to take off and land on one engine. They delivered the first model to TWA just four months after Boeing delivered its first B-247 to United. But there was one more surprise coming from this enterprising crew, and it also came out of a request, this time from American Airlines. American wanted an airliner that would allow passengers to slumber in sleeper compartments on long-distance flights. A skeptical Douglas took it to his engineers. They decided to build a circular fuselage rather than the box-like shape of current airliners. 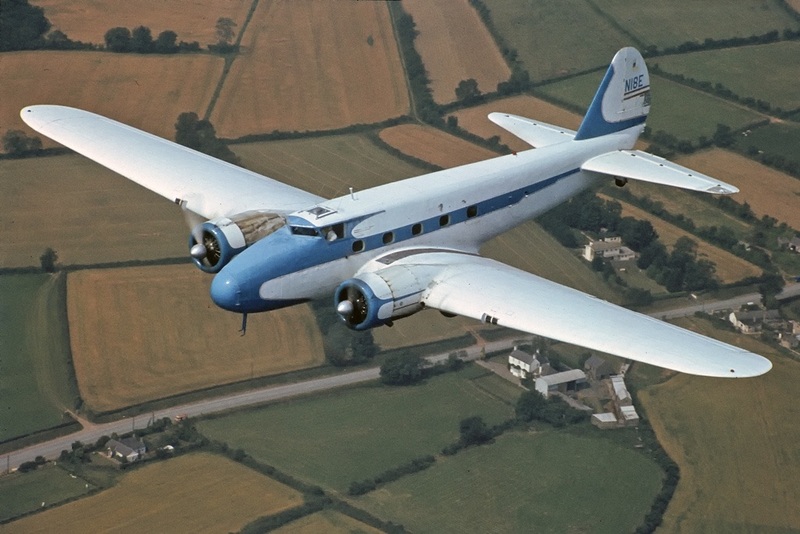 This was not the first airplane with a round fuselage, but it was the first built for commercial air travel, and it added roominess, strength, and speed to Douglas’ design, now designated the DC-3. 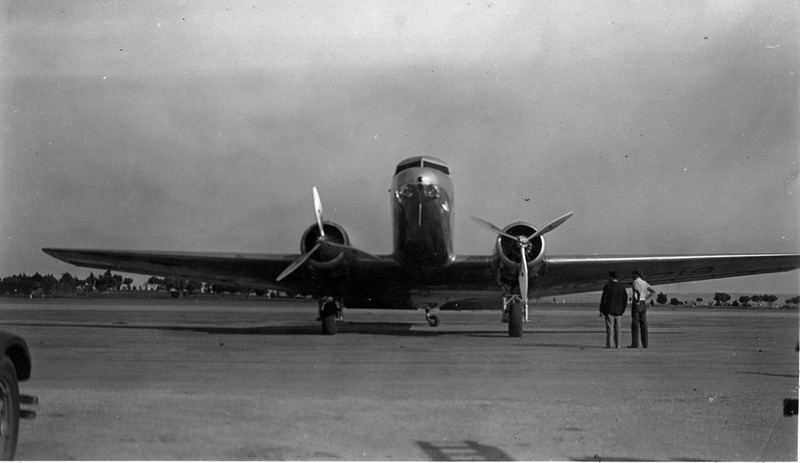 The DC-3 entered service in June of 1936. It was one of the fastest aircraft of its time. It’s predecessor, the DC-2, had come in second to a specially-modified Havilland Comet in a London to Melbourne, Australia air race in 1934. The DC-3, which still flies commercially today, cruises at 207 mph, can reach a top speed of 230 mph, has a useful load of over 8,000 lbs., and a service ceiling of 23,200 feet. One other measure of its prowess might be the number of names by which it is known. Here in the U.S., veterans and enthusiasts might call it the Goony Bird, the C-47, or the Skytrain. The latter two refer to the military transport version that served in every theater of World War II. 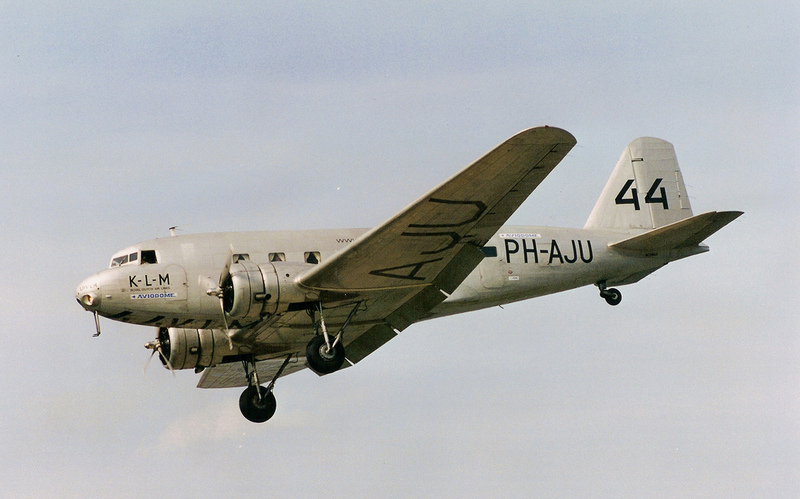 In England they called it the Dakota, and in Russia, the Lisunou Li-2. Whatever you call it, it’s a beautiful airplane.